Michael Demain - Being self taught it was never an easy journey but Michael is now reaping the rewards for years of hard work. Michael Demain was born in 1957 in the small mill town of Accrington which lies amongst the Lancashire Pennines. It was in these early years that he developed a love for wildlife and over the years this love has never waned. 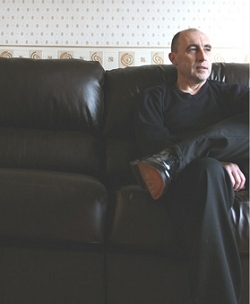 He spent most of his early working life as a hood carrier but in 1991 after a chance meeting with Steven Townsend his direction in life took a dramatic twist. Steven encouraged Michael to pursue his goal of becoming an artist and was always available with advice and constructive criticism but he never taught, encouraging Michael to develop his own style. Being self taught it was never an easy journey but Michael is now reaping the rewards for years of hard work and self-disciplibe as his original work is now eagerly sought after by collectors. 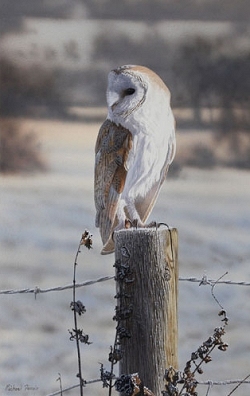 Many thanks to Michael Demain, the Lancashire wildlife artist, or donating 8 signed prints of Barn Owls and Goshawks. The signed prints will be auctioned to raise much needed funds for the sanctuary.